Yahoo has a syndication deal in place with Dailymotion, the French video streaming website revealed. The announcement was made by the company’s VP of International Content Daniel Adams during the recent Beet.TV Global Video Summit at the BBC Worldwide headquarters, Beet.TV reports. According to Adams, the main purpose of this kind of deals is to boost the video sharing that already happens organically. While users are already sharing and embedding Dailymotion videos from on Facebook and other websites, signing partnerships with portals such as MSN and Yahoo helps the site take its strategy to the next level. This distributed network is a win-win for everyone involved, Adams insists. Publishers get a revenue share on Dailymotion’s earnings from this distribution channel. As for content owners, they get the additional exposure they thrive for without losing revenue, since the portal’s commission comes from the margin Dailymotion would take. As Adams reminded the audience, Dailymotion has 25 million videos and currently attracts 120 million unique users a month, which makes it the second largest video platform after YouTube. In addition, the company is working on making its service available on multiple devices beyond the PC. On one hand, Dailymotion has closed partnerships with connected TV manufacturers. On the other hand, it is also developing its mobile side, with some success; according to Adams, 15% of video views now come from mobile. We have reached out to Yahoo and Dailymotion for comment and will update this post accordingly. Update: We talked to Dailymotion’s SVP for International Business Development, Luc Dumont, who gave us exclusive details about this partnership. While confirming the deal, which was signed a few weeks ago, he pointed out its connection with a new initiative the company launched earlier this year, the Dailymotion Publisher Network. Over its few months of existence, it has already attracted 500 global publishers, from blogs to larger media-related entities and portals, such as Orange and MSN Video in certain countries. While signing Yahoo is an important milestone for the program, Dumont insists that tiny publishers that join the Network have access to similar resources – a player they can embed, and Dailymotion’s full video repository. While publishers can access it via Dailymotion’s open API, they can also use its “Easy Curator” tool, which lets them select videos that are related to their content. According to Dumont, this is the best option to ensure that content will be relevant to their readers, hence maximizing revenues and engagement. 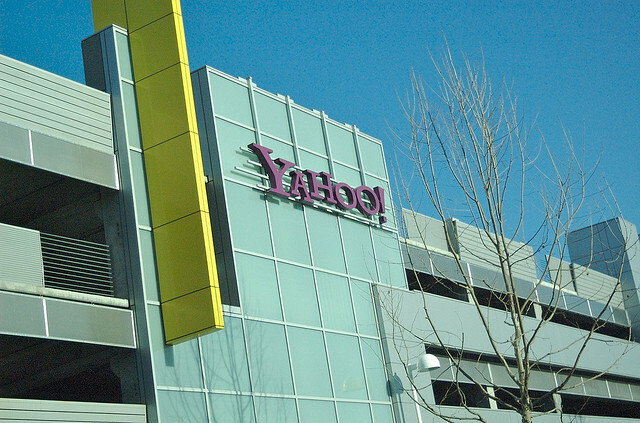 Besides Yahoo, other deals could soon follow, as the Network has a large number of prospects in its pipeline. According to Dumont, its growth was accelerated by Dailymotion’s decision to open offices in California at the end of last year. “Having a local presence helped us engage with US-based publishers and shorten the decision process,” he says.